In combination with the JLM Diesel DPF Cleaning Toolkit, the JLM Diesel DPF Cleaning & Flush Fluid Pack cleans very dirty diesel particulate filters without dismantling. Once a diesel particulate filter is totally clogged with deposits it often has to be completely replaced. Depending on the car make and model, a new diesel particulate filter, including dismantling and fitting, can easily cost 1000 euros and in some cases up to 5000 euros. Cleaning and restoring diesel particulate filters with JLM Cleaning & Flush fluid is more economical than replacing the diesel particulate filter and saves time as well as money. The workshop can completely clean the diesel particulate filter in a maximum of one hour, without the filter having to be dismantled. In addition to soot, grease and dirt from burned engine oil also accumulate in the diesel particulate filter as a result of incomplete regeneration. The JLM Diesel DPF Cleaning & Flush Fluid Pack comprises a highly concentrated cleaner and an effective flush fluid. The first fluid is a strong pre-soaking cleaner that pre-treats and loosens the soot and grease in the diesel particulate filter. After loosening the dirt in the diesel particulate filter, the flush or rinsing fluid flushes the filter until it is thoroughly clean. This disperses dirt and soot particles throughout the diesel particulate filter, pulling them apart from each other. As a result of this, the diesel particulate filter is thoroughly cleaned during forced regeneration. Bring the engine up to operating temperature and then switch it off. Fill the sprayer tank with 500 millilitres of highly concentrated JLM DPF Cleaning Fluid. Connect the spray gun to the compressed air; the built-in pressure regulator automatically regulates the pressure to a maximum of 5 bar. Connect the conical spray nozzle to the rubber hose on the front pressure sensor on the diesel particulate filter. Gradually spray the cleaning fluid through the hose into the diesel particulate filter over the course of approximately one minute. Do this steadily and ensure that the fluid does not flow back into the sprayer tank. Ensure that the fluid does not leak onto surfaces that become hot when the engine is running. Allow the fluid to soak into the diesel particulate filter for two or three minutes. Place a liquid receptacle underneath the exhaust. Run the engine for two to three minutes at between 2000 and 3000 revs. Foam will now come out of the exhaust. Switch the engine off. 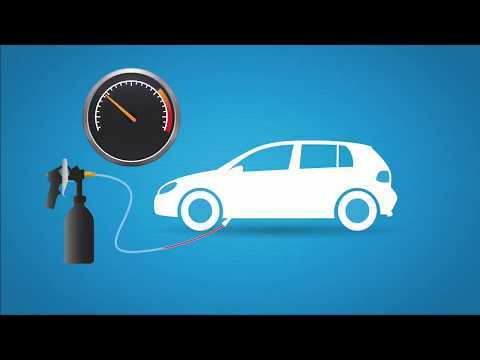 Fill the fluid tank with JLM Diesel DPF Flush Fluid. Start the engine and connect the conical spray nozzle to the rubber hose on the front pressure sensor on the diesel particulate filter. Run the engine for two to three minutes at between 2000 and 3000 revs once again. Now gradually spray all of the flush fluid through the diesel particulate filter. It is important to use the entire one and a half litres of flush fluid to guarantee the full effect. Thoroughly dry the sensor hose after cleaning. If you do not do this it may adversely affect the values measure by the car's electronic control unit and cause breakdowns. For complete and perfect regeneration now add JLM Diesel Particulate Filter Cleaner J02210 to the fuel tank. Start the diesel particulate filter forced regeneration process using diagnosis equipment and the car's electronic control unit or approximately 20 minutes of motorway driving. When doing so, follow the procedures of the vehicle manufacturer concerned. 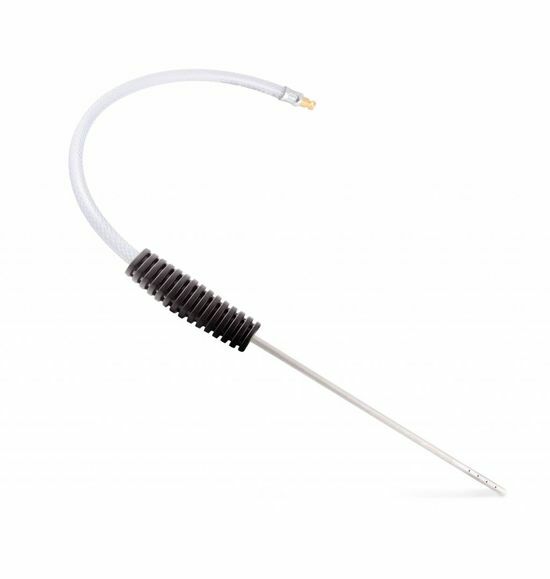 Thoroughly clean the JLM Diesel DPF Cleaning Toolkit with water after use. If the diesel particulate filter is still blocked after treating with JLM Cleaning and Flush Fluid it will then have to be replaced. 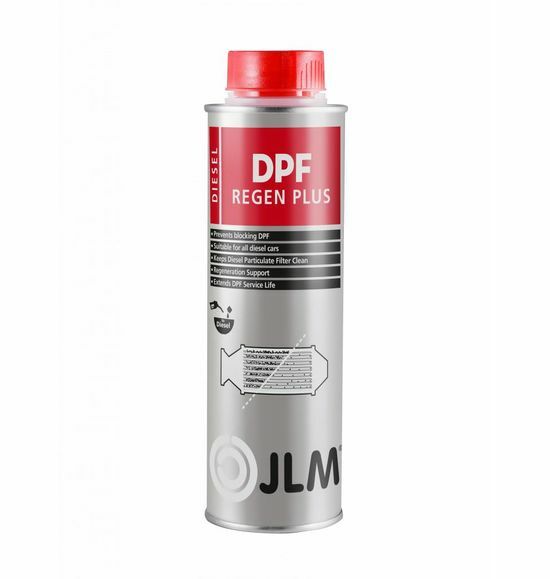 We recommend that you add JLM Diesel DPF ReGen Plus to your full fuel tank regularly to maintain your diesel particulate filter as well as possible and to guarantee the longest possible service life after cleaning. In extreme cases and as soon as the orange Check DPF warning light illuminates on your dashboard we recommend adding JLM Diesel Particulate Filter Cleaner to your fuel.